As I have pointed out I have been keeping a record of daily temperatures at home in Alicetown, Lower Hutt. 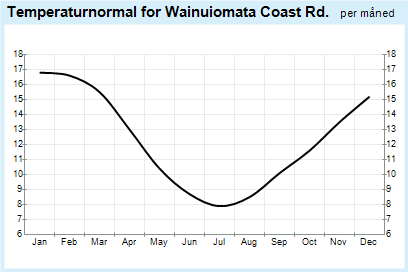 What I have noticed and have been recording is how daily temperatures have been warmer than that reported by Metservice. In particular the minimum temperatures have been much warmer than what one would “expect” and what has been reported on the internet. For example the other day the minimum night-time termperature was a toasty 12 degrees Celsius whereas Metservice reported the minimum temperature as being 8 degrees Celsius. 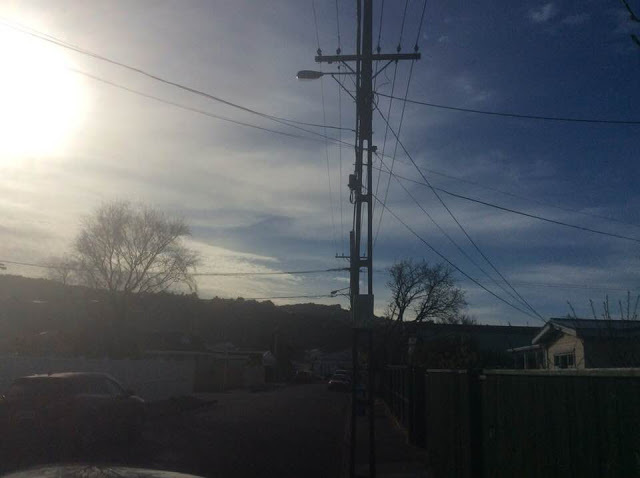 The maximum temperature for the day was reported as 12 degrees. It was over this at breakast time and reached almost 20 degrees! I decided to ring Metservice to get their explanation for this state of affairs. After a long-winded explanation from a helpful meteorologist it turned out that the situation is that the temperatures I read every day are a forecast the comes from a model which uses average temperatures as part of the equation. In other words, nothing that has any bearing with reality!! If I want the actual recorded temperatures I have to scroll down further. 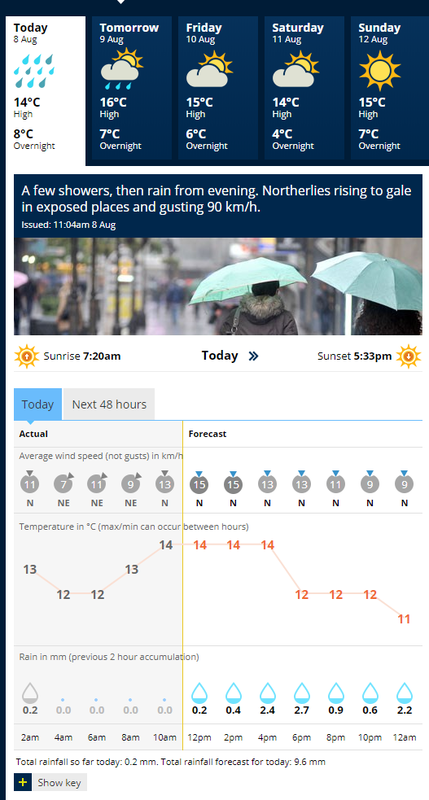 "You’ll see the forecast high and low for today at the top of the tab (14C and 8C respectively). "The observed temperatures you can see to the left of the line in the graph portion of the image (you can see the lowest temperature recorded this morning was 12C between 4am-6am). "If you would like to check out weather observations further back from today you will have to scroll down the webpage (past the headings for Social Media Gallery and Maps, Radars and Videos) to the ‘Past Weather’ heading. This is a great resource for checking observations. The default view will show maximum/minimum temperatures, total rainfall and maximum wind gust and wind speed for each day in the past 30 days. You can change this to show you more detailed info for the yesterday only, or less detailed info for the 2 years along with the historical averages"